SCORE PUREX LAUNDRY DETERGENT FOR AS LOW AS $0.29!!! 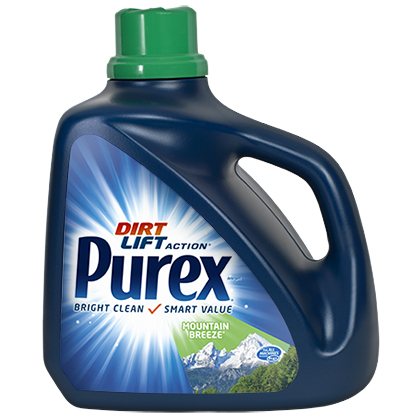 STARTING SUNDAY PUREX WILL BE $1.79 WE HAVE A DIGITAL THAT’S NLA TO CLIP, HOWEVER IT DOESN’T EXPIRE UNTIL 1/13/18. MAKING A ONE BOTTLE JUST $0.29!! FOR THOSE OF US WHO ALSO HAVE THE $1.50/1 COUPON! THIS WILL BE A $1.01 MONEY MAKER! IF YOU ONLY HAVE THE COUPONS $1.50/1 AND NOT THE DIGITAL YOU CAN STILL SCORE EACH BOTTLE FOR $0.29! ← SCORE A PYREX MEASURING CUP FOR JUST $0.49!!! !